Disclosure-My Makeup Brush Set products have been provided in consideration for a review. This is not a sponsored post. If you’re a beauty lover or artist like myself, I’m sure you have seen these oval makeup brushes around on social media or videos of beauty gurus using these. Well, today I’m going to be talking to you about these fabulous oval brushes. Now these aren’t the Artis Makeup Brushes but these are just as good as those and less expensive. 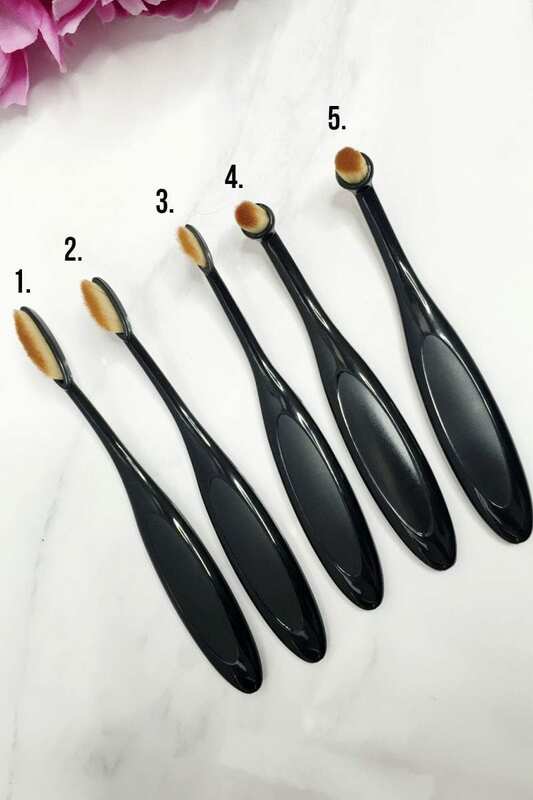 Consider these as drugstore brand for the Artis brushes. My Makeup Brush Set – Oval Brush definitely leaves your makeup looking flawless. 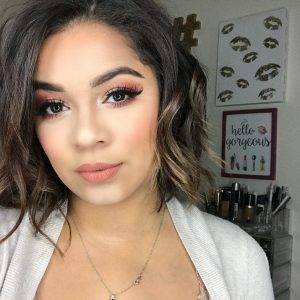 There have been times where I have used too much foundation and I had to test out the foundation brush to see how well the brush would blend in my foundation, and it worked. It really did leave my foundation flawless, no streaks or patches. Eyeshadow, eyeliner, concealer, cheek blush and cheek contour. Foundation, setting powder, concealer, eyeshadow and cheek contour. Eyeshadow, brow color, eyeliner, and concealer. Lip Finish, eyeshadow, brow color, and concealer. Lip finish, eyeshadow and concealer. Foundation, bronzing, and setting powder. Cheek blush and cheek contour. Concealer, cheek blush, cheek contour, foundation, bronzing, and setting powder. As you can see some of these brushes are meant for the same thing or can be used for the same thing. It all depends on you. I’m going to share with you my favorite brushes and what I use them for. brush #1 (2nd image) – definitely love to use it for applying my foundation. I found it big enough to do the work and it’s a lot faster than using a beauty blender to apply the foundation. 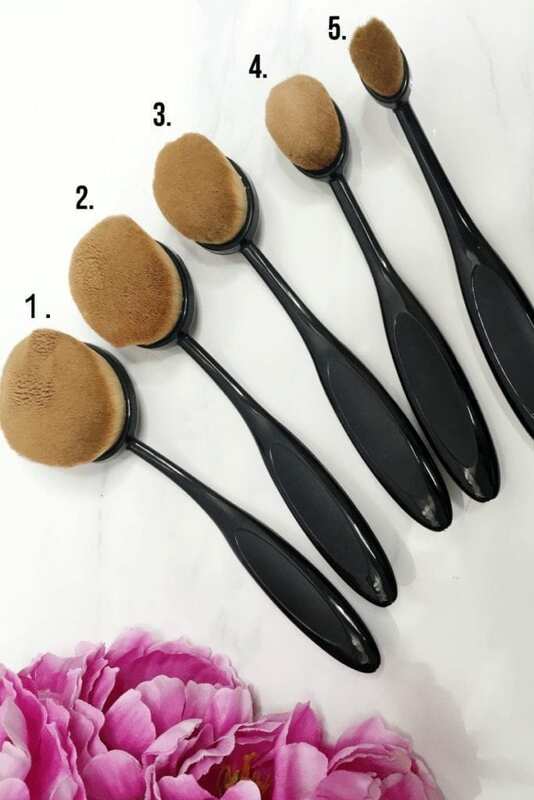 brush #4 (2nd image) – to apply my setting powder for when I’m baking. brush #1 (1st image) – love this brush for applying my highlight. It’s so much easier then using a fan brush at least for me it is. Overall I love these brushes and will continue to use them when applying my makeup. The way the brushes are shaped, especially the handle cause the tip of the brushes are tilted. Super light weight as well. The brush hairs are synthetic hairs. This Oval Brush set is $25! On top of that they have other styles of brushes and many more products. If you decide to purchase ANY products from My Brush Set you can use code: SAVEWITHJASMINE for 10%! 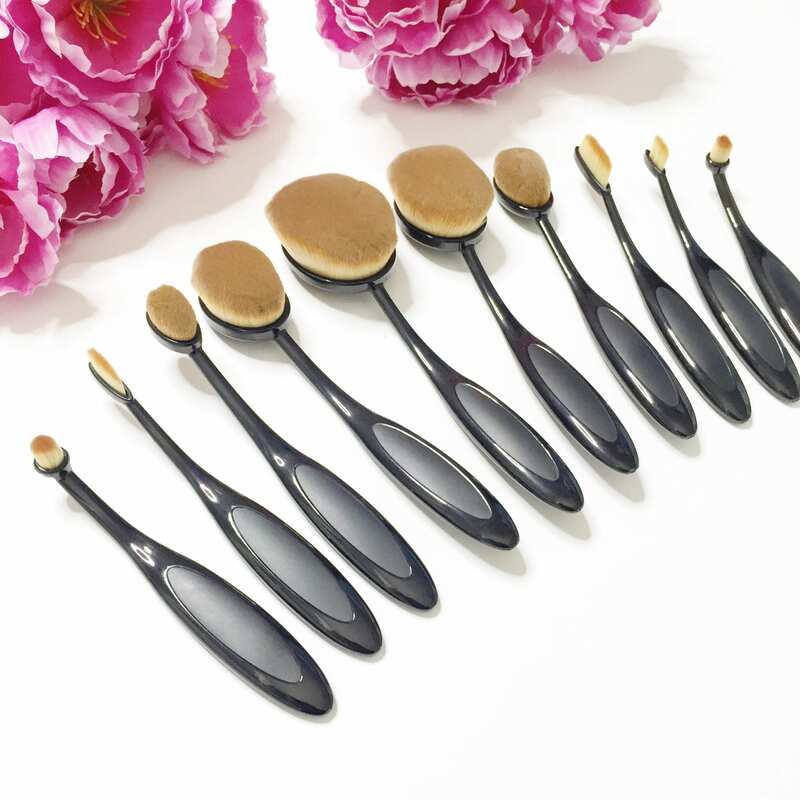 Have you tried the oval brushes yet? Wow this is all new info to me! I’ve never seen or heard of oval brushes before! Thanks for the tips! Definitely great for new beginners. I got an oval brush from amazon for only $3 and am loving it for my foundation, they are so awesome! I haven’t seen them on amazon and I usually get sketched out by the brushes from amazon because the last order I received the brushes broke. I was so upset. It wasn’t this brand but it’s super amazing. That’s a bummer I always have excellent experience with Amazon! In love! i’ve seen a lot of beauty bloggers using these but they’re so expensive. it’s nice to see there is an affordable set! Wow, thanks so much for sharing. I’ve never used an oval brush before, but now I think I might want to try a few out to see if they’d add to my typical make up routine! 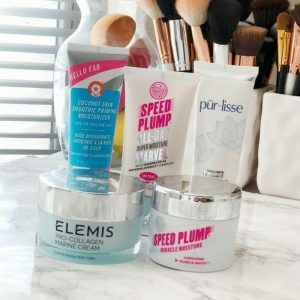 Love the brush review!! I’ve never used brushes like these but I have seen them used! Thanks for the info! I definitely want a set now! I’ve seen these brushes before but they seem complicated lol I don’t think I would know how to use them properly. Can’t believe how cheap they are! Glad that you liked them, though! I’ll have to try these out! I have never seen these before! Interesting! Oh wow! I’ve never seen these kinds of brushes before! So fun! Totally random, but I was just thinking how I’d love to see your bathroom or vanity and see how you organize all of your makeup! You should totally do a blog post on that! I’ve been wanting to try the oval brushes forever and loved your review! You’re making me want to try them even more now, lol. Okay I’ve been seeing these ALL over the place… and you’ve definitely convinced me that I need to try them out! These brushes are really cool! I haven’t seen many oval ones around! Yes! I have been waiting for this review from you 🙂 I have been looking at this set for a while now and glad to know you like them! 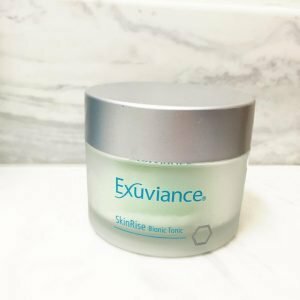 My other blogger friend has these and loves them. I can’t believe they’re only $25 for the set! I just got an oval foundation brush from Artis and I am changed for the better! But Im glad to know there are others that are cheaper! I found a deal! I have been wanting a brush like this for my face, I am not sure how I would manage putting my eyeshade on with this brush. These brushes look amazing. I’ve been seeing them around lately, especially on Instagram. So glad to read a review on them. Those brushes are really pretty, and they look pretty dense which makes me think they’ll hold the color/powder pretty well. Thanks for sharing! I have seen these kinds of brushes a lot lately. I can’t wait to try them out for myself! Good to know about these. Thanks for explaining how each one works. 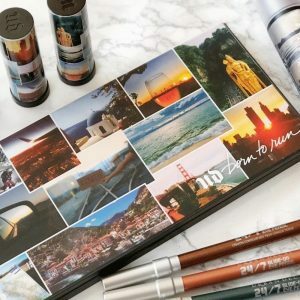 I have recently been on the hunt for some make-up refresh and good brushes. I like that they are not very expensive either. I still find these so odd, haha. I need to try them! I need to try these and decide how I feel abut them, looks so interesting! This brush set looks amazing! I noticed that when I use these brushes they absorb ALOT of the product I’m using like the foundation, does anyone know what can stop this happening?